Science teacher: "Are you a martyr? A Modest Checklist"
Go read Dina's blog, then get back to me. I am punch drunk at the moment--I spent half the night combating the relentless rising water table that threatens to wash us away into the bay. The other half? Writing a grant proposal for a set of netbooks for my classroom. If the proposal succeeds, I will have a lovely set of netbooks, wireless access to the internet, and hours of unanticipated headaches. Should I succeed, my students will be better equipped to be effective citizens when they leave our hallowed halls. *Know what you're trying to teach, figure out how best to teach it, then address the reasons why a good chunk of your class still does not grasp your objectives. *Devise a personal development plan geared to your first priority above. If you have other priorities ("become an administrator, rule the world") fine--just do not count those hours against the time you spend on the first priority. *Know your limits--a tired teacher is often less effective than a rested one. *Remember why you're here. It's OK to imagine you are wearing a cape--it's what professionals do. *Professionals have a duty to their clients students above and beyond their contractual duties to the board of education, beyond their mandates from their superintendent. Indeed, they have a duty to openly challenge any directives that counter their primary duties to their students. Are we true professionals? I am not sure that's possible so long as we work to dual purposes. I am a bona fide dues paying member of the Bloomfield Education Association, the local union. I get what unions have done for us. I get that there may be times I need union representation. I understand the need to present a united front. But I also get why many members of my department snuck back into the building a few years ago when a job action "required" teachers to leave on the dot of 2:45 PM. "Profession" is a slippery word. A key point, I think, is autonomy within the guidelines proscribed by the guild, or "professional association." We have the NEA and the AFT, both useful groups that work to promote our profession, ostensibly to serve teachers, children, and (at least for the NEA) administrators. When push comes to shove, what order does the union serve its clients? We are not required to meet the standards of any national, independent body for certifying professional standards--we leave this up to the states. (The National Board for Professional Teaching Standards may become a big player in this soon.) We are paid by our towns, our states, and (in some cases) the Federal government. I love teaching, and I feel a duty to work hard to provide what my kids need. What I need to get better at is resisting the efforts of others to impose huge chinks of time on things they do not need. It's what professionals do. We get paid reasonably well to do what we love--can't beat that. And here's a dirty little secret--just about everybody works hard, not just teachers. If you break it down into hourly wages, factoring in benefits, I make about the same now as I did when I was a pediatrician working ungodly hours. I was happy then, I am happy now. If my happiness disturbs you, so be it--I'm not here for you. I'm here for the larval humans that will succeed my place on the planet. 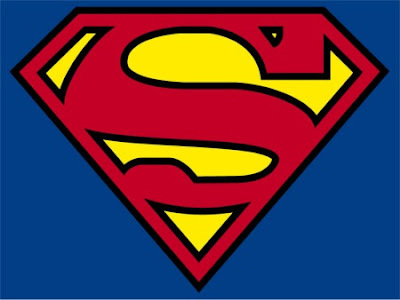 The NEA logo is owned by the National Education Association; the Superman logo is owned by DC Comics. You know my thoughts on this (especially after reading this book). A true professional is not someone who saves the world. This will lead to burn-out, narcissism, egoism, imperialism and all other kinds of isms I'd like to avoid. A true professional is also not someone who is paid to work, to show up in a shirt and tie, to fill out paperwork or to do whatever else is required of corporate executives. A professional is someone who professes. It's someone who believes in the sense of a mission and a calling. It's based on meaning and purpose and identity. I am not paid to teach. I am paid so that I can teach. Label me in the "martyr" category if you need to, but I am more alterego than superhero. And quite honestly that's what kids need. On a good day, I'm a civic servant. On my best days, I'm a servant to humanity. The NEA is not a guild, but student teaching is surprisingly close to the apprenticeship concept I'm hoping for. For what it's worth, I'm glad the NEA fights for worker's rights. I have a family to feed. But I've never been under the illusion that I have a contractual start and end time. P.S. - I'm working on a similar project. Two Luddites going tech integrated. Who would have thought? We're in the same place here--I am not a martyr, either, but I really enjoy what I do, and I feel useful--the combination sometimes results in exhaustion, but it's like the exhaustion you get from pursuing a hobby too vigorously, not the despair that leads to burnout. I think the key to avoiding burn out is to do what you do because you love it. While saving the world would be cool, living the life of Sysyphus is not. I get joy from helping kids think. Heck, I get joy puttering around my classroom as the sun sets, surrounded by aquariums and bones and beakers and plants. I like your definition of professional--a profession does, indeed, based on purpose and identity. When I first started college, I was part of a small crew of math students led by Dr. Piranian. He told us we must eat, breathe, live mathematics all day long. I ran away screaming. Now I eat, breathe, live teaching all day--and love it. Very few teachers use the contractual times as true guides--the few that do, though, seem to complain the most. Go figure. Excellent post! I find teaching so exciting that I don't even notice the exhaustion - most of the time. Once I find my feet, I do need to find a way to set boundaries. Teaching is a dangerous profession for a workaholic like me but then so was chemical engineering with many nights and weekends spent working. Engineering was fun but mostly about me. Teaching is fun but the importance is for those larval humans. They are worth my very best effort!